See Hannah's original post here. When President Obama won the 2008 election, Seattle took to the streets. And I also joined the throngs of thousands of people who celebrated downtown and up on Capitol Hill. I remember feeling encouraged and excited to be a part of the community of Americans who had joined together to make the victory possible. I felt the energy and motivation of a newly called missionary - all I needed was the rallying call of the President to tell me what needed to be done, and I would be there. All of us Obama supporters seemed to be of the same mind; tell us what needs to be done - lead us into battle - and we will heed the call. However, clear direction never came. The recession hit like a hurricane, and President Obama became entangled in a health care battle with congress that left many of us wondering what our part in this fight might be. -- An overwhelming majority of survey respondents reported feeling welcomed and included, that their time was used effectively, and that there was a clear understanding of how their work directly helped re-elect President Obama. -- Among those of you who volunteered at least a few hours, a majority went into a field office, though many of you got involved instead through the campaign's online tools such as Dashboard and the call tool. -- About 1 in 10 survey respondents are interested in running for office at some point, using their organizing skills to continue fighting for real and lasting change. That level of political engagement is inspiring. -- Almost half of all survey respondents forwarded campaign emails, and more than one-third communicated with friends on Facebook -- both great ways to pass along information about the President's positions and plans, as well as opportunities to get involved. -- Nearly 80 percent of survey takers want to keep volunteering, primarily around the President's legislative agenda. Also included was this quotation from a supporter in Texas: "Don't let the energy of the re-election slip through your fingers. This is a very powerful network of people." And this expresses how I felt in 2008 and how I feel now. Check out barackobama.com to learn about the issues and tasks at hand and the ways that we can be involved. I am hopeful that we Mormons can stay engaged in the change we hope to see in our country, whether on a national or local level. Let's continue to follow the words recorded in the Doctrine and Covenants to stay anxiously engaged in a good cause; let's continue to move forward. THANK YOU to Obama for America and the Democratic National Committee for keeping Governor Romney's Mormonism and mine off the table this campaign! I never doubted President Obama's or Chairwoman Wasserman Schultz's commitment to steer clear of religious attacks, but presidential campaigns are gigantic operations. For Obama for America and the Democratic National Committee to keep the message that tight required serious dedication on the part of staffers and surrogates to resist the urge to "go there." In the most high-profile anti-Mormon maneuver by a surrogate of which I am aware, she quickly announced her regret for her remarks. I recognize this effort didn't prevent Bill Maher, Andrew Sullivan, and other pundits from attacking the Church, and that we read some news stories that were uncomfortable-but-accurate, but I think these things further underscore the tremendous amount of work the campaign did to keep Mormonism a non-issue in its own operations. Throughout the campaign, Latter-day Saints on the other side of the political aisle would ask me, "What are you going to do when they attack Mormonism in late October?" I told them, "Not going to happen." Thank you again, OFA and DNC, for proving me right and for running a great campaign. Too often we fail to recognize what goes right in politics. 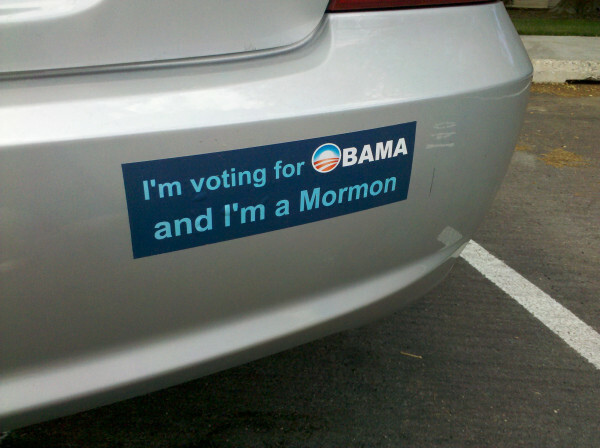 If you (Latter-day Saint or otherwise), want to express your thanks to Obama for America and the Democratic National Committee for keeping Mormonism out of it, I encourage you to leave your name and state in the comments. We invite Americans everywhere, whatever their political persuasion, to pray for the President, for his administration and the new Congress as they lead us through difficult and turbulent times. May our national leaders reflect the best in wisdom and judgment as they fulfill the great trust afforded to them by the American people. 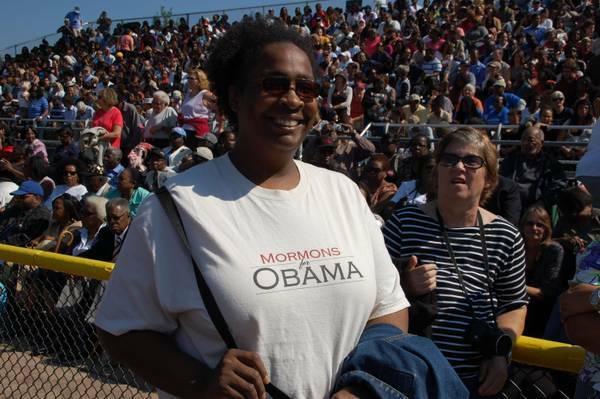 We Mormons are everywhere - all over the internet, TV, (and in some cities - on billboards and the sides of buses) - and never have we received this much scrutiny... and so it is with cautious footing that we run this website. We say this because our hope is what we do here doesn't put up a wall between ourselves and other more conservative or Republican-leaning Mormons. We appreciate and love them - (and hopefully not in a patronizing, we-are-better-than-you, way.) After the dust of this election settles, we will still be at church on Sunday mornings worshiping with our fellow Latter-day Saints, regardless of who they voted for the previous Tuesday and regardless of who wins. But we don't want to miss this opportunity to represent the strong ideals and beliefs of those of us who will be casting our votes for President Obama. Thank you for putting up this website. I am not LDS, but I have known quite a number of people who were, as I'm from the Pacific Northwest and was an avid genealogist before the Internet changed the game. With but one exception (in the Army) all (Mormons) that I've met have all been kind, generous, and humble - stunning examples of people who live a good life, performed good deeds, and treated others with respect. They were emissaries, living examples of people who truly aspired to be more like Jesus Christ. The "countenance" described in a recent post is something that even I found easy to spot. I've been in Southern California for some time now, and rarely meet Mormon people here. My memories are faded, and they have been tarnished by what I have seen in Mitt Romney. He has not shown himself to be one who cares about people. His lack of concern for those in need--particularly those his own actions have put in need--really surprised me. I was left to wonder if I had drawn the wrong conclusions. I know everyone is different, and one man is never an example of an entire group, but the writings, and even the very existence of this webpage affirm my early impressions. Reading here has been like Romney tarnish remover. Thanks again making this effort, and for reminding me of truly good people I had long forgotten. And thank you Stephen for your kind email, and thanks for giving us permission to post it here. This political campaign still has some months to go, and we hope that we can continue to participate in the dialogue and discussion of the issues - and we hope that we can do it in a way that is respectful and inclusive of those who believe differently than us. But clearly, we are not perfect - and so we are trying to do better. 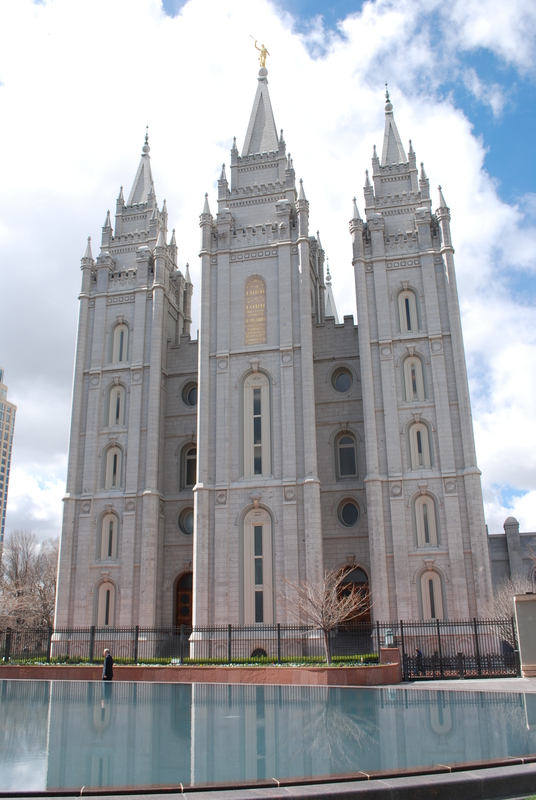 So once again, I am looking over the Mormon Ethic of Civility - an article posted on the Mormon newsroom feed back in 2009. This is the perfect navigating tool for Mormon Dems and Pubs when it comes to engaging in political discourse.